Sendairect: Bi-polar and SZ connective genetic mutation in late adolescence. Notes. Bi-polar and SZ connective genetic mutation in late adolescence. Notes. The latter part of adolescent brain development is of particular interest to mental health care research, because the time window corresponds to the age of onset of most major neuropsychiatric disorders, especially schizophrenia. 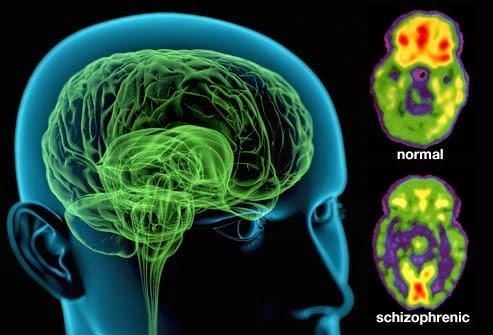 A striking feature is the similarity between genes and processes altered during late adolescence and those known to be dysfunctional in the schizophrenia brain. For example, the leading candidate risk factor gene, NRG1.which has also been linked to bipolar disorder is minimally expressed during late adolescence together with its ligand ERBB4. This result is supported by salience network analysis of prefrontal cortex changes. Due to the strong evidence for white matter alterations during adolescent brain development, and evidence for the involvement of aberrant myelination in major neuro-psychiatric disorders, it can be predicted that genes related to myelination would be detected in this analysis. It has often been been debated whether the decrease in grey matter volume in the adolescent prefrontal cortex found in brain imaging studies is a true reflection of synaptic loss or in fact an artefactual representation of increased white matter volume. There is evidence at the gene expression level that there are alterations in processes associated with synaptic development during adolescence, in addition to increased expression of myelination genes. Genes associated with energy generation via glycolysis and oxidative phosphorylation reach peak expression during adolescence, coupled with other active cellular processes such as transcription, translation and protein transport. This may represent an increase in energy supply to the prefrontal cortex. There is a peak in resting cortical glucose utilisation in early adolescence with a gradual decline to reach adult values in late adolescence. Previous hypotheses have focused on the role of neuregulin in early development as a predisposing factor to schizophrenia, the present data suggest that it has an important additional function in the maturation of the prefrontal cortex and may be one of the factors involved in specific mutation and development at this time point. Neurotransmitter systems that show altered function during adolescence may also be particularly vulnerable to perturbation during this period; results suggest that neuropeptide and glutamate signalling may be particularly important. There is strong evidence that glutamatergic abnormalities are seen in schizophrenia and bi-polar, possibly due to the psychosis-inducing effects of glutamate antagonists such as PCP. Alterations in neuropeptides in neuropsychiatric create disorders and the alteration in expression of these genes during this critical developmental period, in a region of the brain strongly associated with schizophrenia symptoms, (in particular auditory hallucinations) strengthens the evidence for their role in the etiology of schizophrenia. It should be noted that the exact development of these gene expressions are directly connected to the timing and peaking of contributing stress factors of which the neurotransmitter systems are the key monitors of. My theory is that both bi-polar and SZ are strongly and closely linked and the exact mutation moments are critical in confirmation of which will develop. With farther and extensive brain salience networking analysis of early-late adolescent brain development especially in traumatized young adults, we can I believe begin an earlier diagnosis of both disorders.